Leslie Headrick, Madison Appleby, and Ellie Abbott met nineteen years ago. These beautiful and extraordinarily talented young women shared both their twenty-first birthdays while revealing their hopes for the future. But life doesn't always go according to one's youthful imaginings. Leslie refuses to listen to what people are saying about ]let husband and his beautiful assistant. Madison dropped a modeling career to help her high school boyfriend recover from ail accident. Ellie, a bestselling author, and recently divorced from her narcissistic, philandering husband, has lost her belief in herself as a result of the divorce. 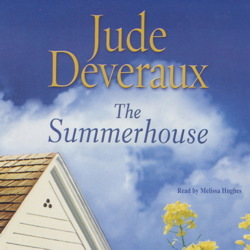 When Leslie, Madison, and Ellie reunite at the summerhouse, each finds a puzzling card from a 'Madame Zoya,' offering them the chance to relive any three months from the past. Each woman will have to decide as she follows the dream that got away -- and each must choose the life that will truly satisfy, the longings that live deep inside her heart. Jude Deveraux is able to create a poignantly written account that makes you appreciate the true friendships you have made in life. This book made you, made you cry, and gave you hope. Fast read- especially nice for the summertime. This book was just ok for me. I enjoyed it to an extent but It didn't keep me sucked in at all times. The storyline has so much potential but there's very little character development so you don't really connect with any of the characters. I didn't like the reader either. She has a whispery voice. A bit annoying. I thoroughly enjoyed this book. The narrator was immensely entertaining and had a very nice listening voice, as well as doing different voices for the characters. It was a very pleasant story about three friends and how their lives progress. Highly recommend! I was really enjoying the character study, but then the supernatural angle was a total surprise. It went downhill fast after that. Indeed, a fast read. I started out really liking the concept, particularly about friendships. But then it got farfetched for me. I would say, okay. This was interesting and quite a concept. Definitely something that we may have thought of in our lives if only it were possible. Good character development on 2 of the 3 characters but lacking on one I thought. This book was interesting enough to take my mind off the commute but even though I finished it the day prior to writing this review, I can hardly remember anything interesting about the book. The end was a bit too far-fetched for me. I know these types of books are meant to be fantasy-like but this went a bit far. There was nothing in this book that grabbed me by the heart strings and kept me hoping for more. I just adored this title. I love that these women surrounded each other with love, warmth and took such great care of each other. Yes, the story is silly and contrived, but in the end, you really root for these women. It made me think of my best friends and be grateful for them! A sweet listen and well worth the time. Lightweight romance/fantasy. Okay to listen to while stuck in traffic.